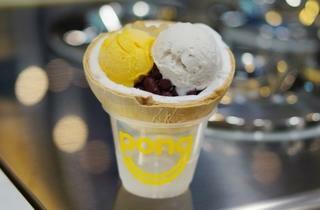 The pride and joy of this quirkily named, guilt-free frozen dessert outfit is served in a husk. 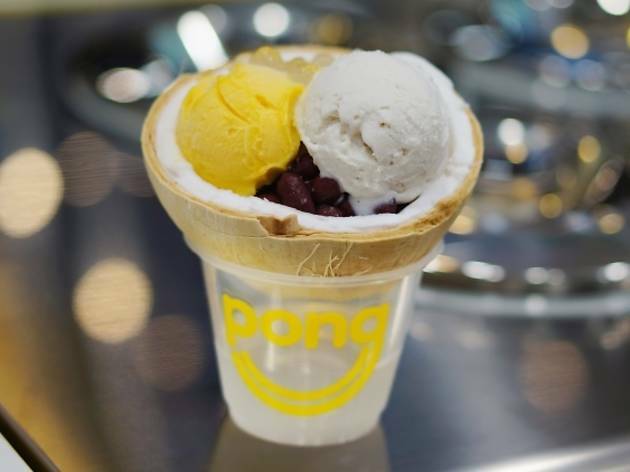 Its bestseller – the dairy-free coconut gelato with fat-free sorbet of the day ($5.50) – sits in the aforementioned fruit shell and comes with three choice toppings and a free cup of coconut juice. The idea was born after the Thai brother-in-law of founder Seah Ping Long suggested the concept to him. Another item to try is the yakult coconut gelato juice float ($4.40).